Serpentine endemics are plants that grow only in serpentine soils. 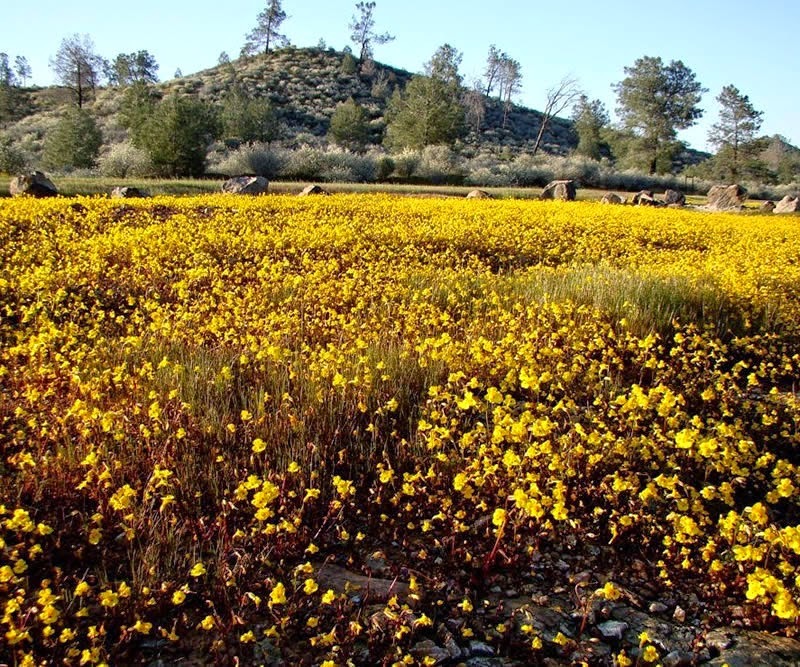 These uncommon soils present serious challenges to plants and are often sparsely covered with dwarfed vegetation. Serpentine rock is one form of ultramafic rock, an uncommon rock found in mountain-building zones. Soils derived from ultramafic rock are called serpentine soils. The most important chemical characteristics of ultramafic rock and of the serpentine soils formed from it are high magnesium concentrations; low calcium concentrations; low calcium/magnesium ratios; low concentrations of other macro nutrients (such as nitrogen, phosphorus and potassium); high concentrations of toxic heavy metals (such as nickel, chromium, and cobalt); and low micro nutrient (molybdenum, boron) concentrations. All these factors are detrimental to plant growth. Physical factors also tend to be harsh in serpentine soils. They are rocky and low in humus (the organic matter formed from decomposing plants), and temperatures tend to fluctuate widely. In part, these physical factors are caused by the chemical factors discussed above and their restriction of plant growth. Sparse plant cover results in less plant material to decompose, thus less humus; and a greater plant cover would mitigate temperature changes. Whatever their causes, these physical factors further restrict plant growth. Not all serpentine soils have all these characteristics, but those present combine in various ways to severely restrict plant growth on serpentine soils. 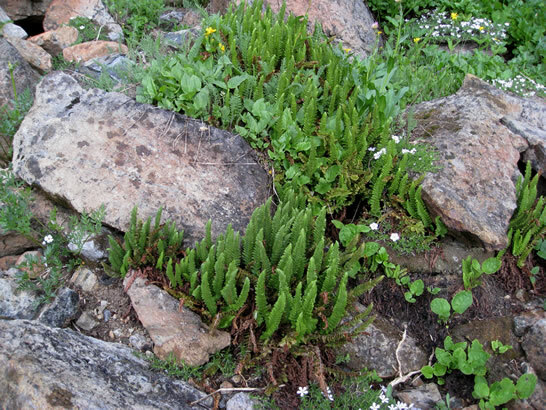 Many plant species cannot grow in serpentine soils. Others can grow in serpentine soils or in other soils, but the serpentine varieties are often dwarfed and require special adaptations. Still others, the serpentine endemics, grow only in serpentine soils. Two examples are Quercus durata, a shrubby oak that grows in some western serpentines, and Aster depauperatus, a small aster of some Appalachian serpentine soils. One common adaptation of serpentine plants is a high tolerance for nickel, the most troublesome of the serpentine heavy metals. A second is the ability to use calcium efficiently in the presence of excess magnesium. Magnesium is an essential nutrient, but in high concentrations it interferes with the plant’s use of calcium, another essential nutrient. These two adaptations are widespread among serpentine endemics, suggesting that they are two of the adaptations important to serpentine endemics. Additional adaptations are probably necessary because a plant growing on serpentine must overcome all of the soil’s troublesome characteristics. Competition may explain why these plants are unable to grow in more favorable soils. Many serpentine endemics cannot compete with other plants outside the serpentine environment and are thus excluded from non serpentine soils. Because most plants cannot grow in serpentine soil, serpentine endemics are freed from competition and can grow successfully in those soils. Because they only occur on these uncommon soils, serpentine endemics are especially susceptible to extinction. Preservation efforts have focused on some of these areas and their plant life.